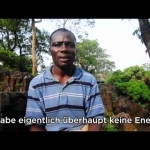 Liberia: The case of Vattenfall – African timber to save the climate in Germany? The Swedish state-owned multinational Vattenfall is Europe’s fifth largest energy producer. Its affiliate Vattenfall Europe, based in Berlin, is one of the four biggest companies in the German energy market. The state of Acre, in the Brazilian Amazon region, earned worldwide attention in the late 1980s through the struggle for social and environmental justice waged by the late Chico Mendes. Philippines: Rally to stop Chinese mining in Palawan!